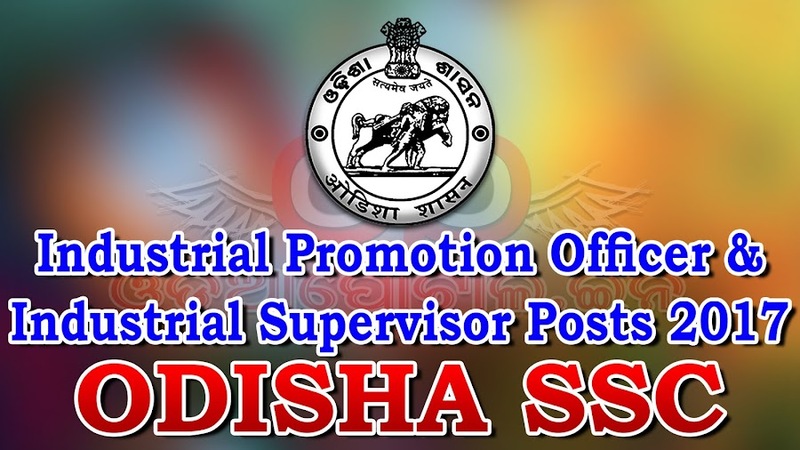 Odisha Staff Selection Commission (OSSC), inviting eligible applicants for the recruitment of 51 Industrial Promotion Officer & Industrial Supervisor vacancies on contractual basis. Eligible candidates can apply online from 26-12-2016 to 25-01-2017 by 11.59 PM. Age: Candidates age should be between 21-32 years as on 01-01-2016. Age relaxation 5 years is applicable to SEBC, SC, ST, all women candidates & for other details refer notification. Degree or Diploma in Engineering from the Polytechnics or Engineering Schools of Odisha or equivalent there to from a recognized university or Institution for Industrial Promotion Officer. Diploma from the Polytechnics or Engineering Schools of Odisha or equivalent there to from a recognized university or Institution for Industrial Supervisor.